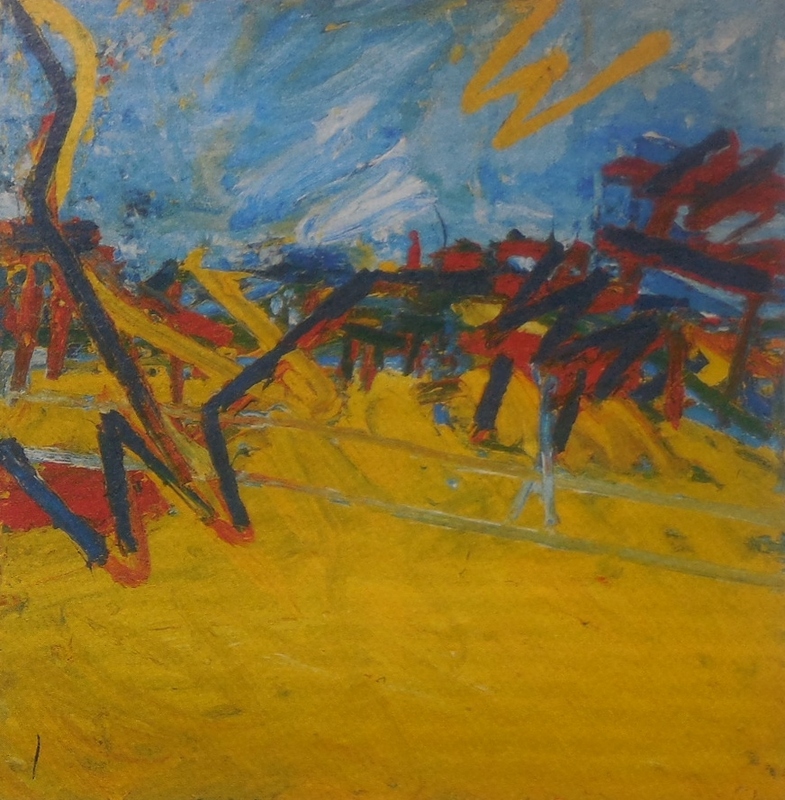 This is ‘Primrose Hill, early morning’ by the British painter, Frank Auerbach, the subject of a partial retrospective at Tate Britain (running from 9 October 2015 to 13 March 2016). I claim facetiously that my photograph is the the first to be influenced by an Auerbach painting, a claim which should be treated with contempt because it appears to equate the status of photography with that of painting. They are as as different as chalk and – well, granite. As I learnt from a visit to the exhibition, Auerbach’s painting is the result of dozens and dozens of iterations, applying paint then scraping it away so he can repaint (in the 50s he applied paint on top of paint with extraordinary results) in a search for the image that offers him some satisfaction. It is a record of his sensation of a place, not of the place itself, of his subjective state not an objective description. In fact, I think photography is a subjective process too, but it is hard to deny its objectively descriptive role. 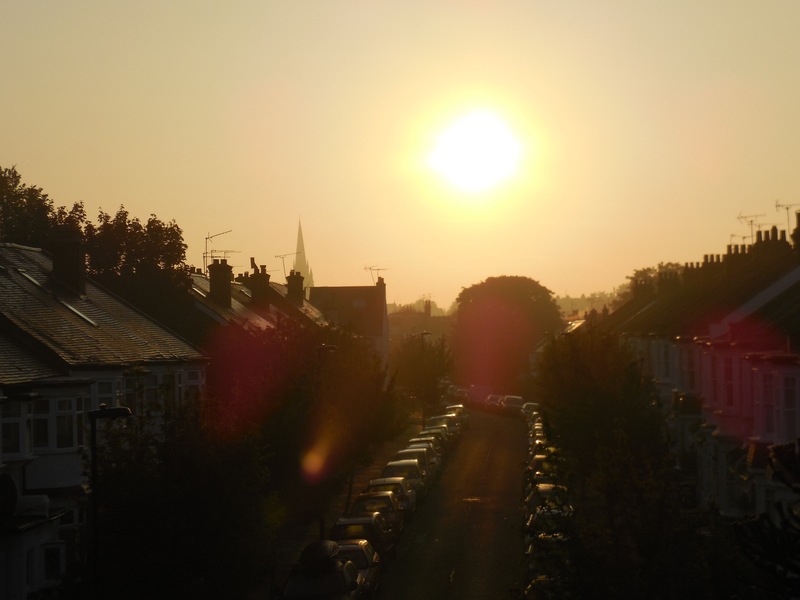 The only way for me as a photographer to aspire to Auerbach’s subjectivity is to take dozens of photographs of ‘East Finchley, early morning’ so that as a sequence they might present some multiplicity of experience. Even so . . . A sequence would exist in time as a series of moments and Auerbach’s view of good painting is as resistant to time.